In orange tea-smoked duck breast with red rice and pickled quandong. 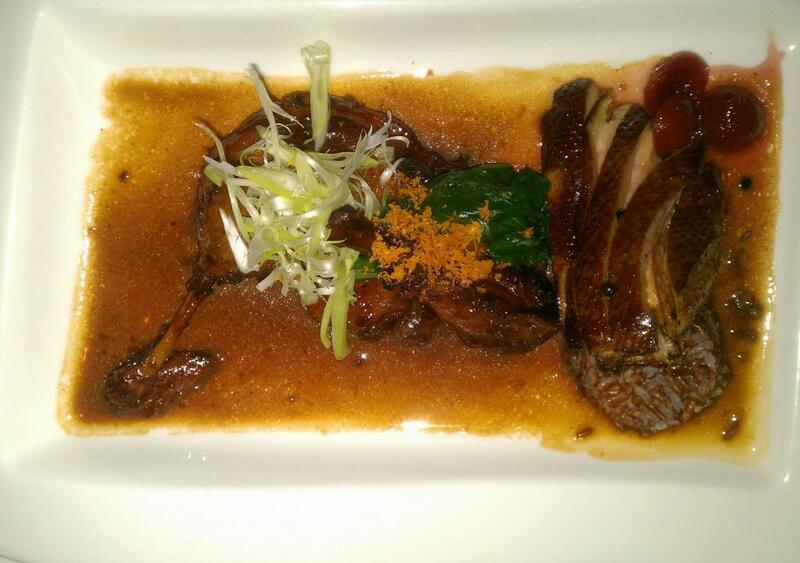 Slightly unusual and fairly soy-ey, but the duck was very nicely done, if plain. Sorbet is Strawberry and Basil. That was ridiculously good. All the various things on the plate were perfect. Longan goes very nicely with passionfruit, and the strawberry and basil sorbet was rather unique. 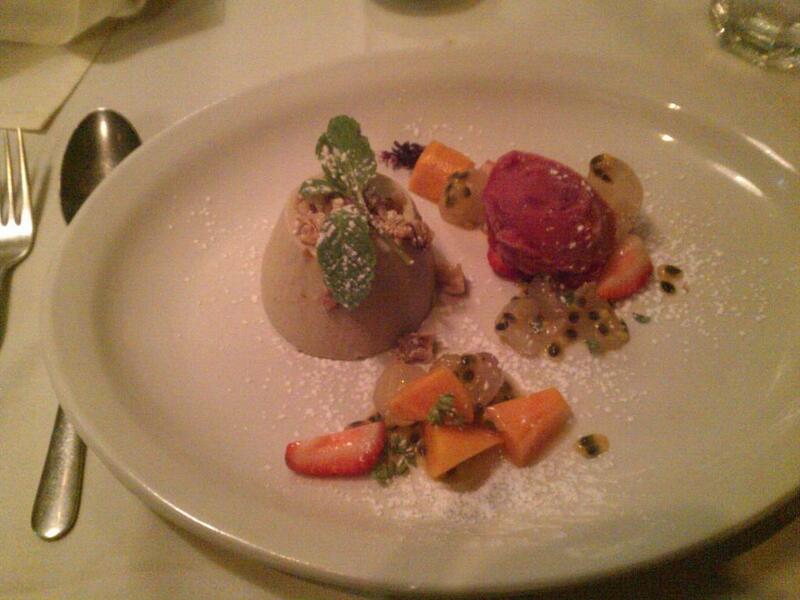 The walnut pannacotta was a perfect combination. I’ve had all these components separately, but never paired like this.